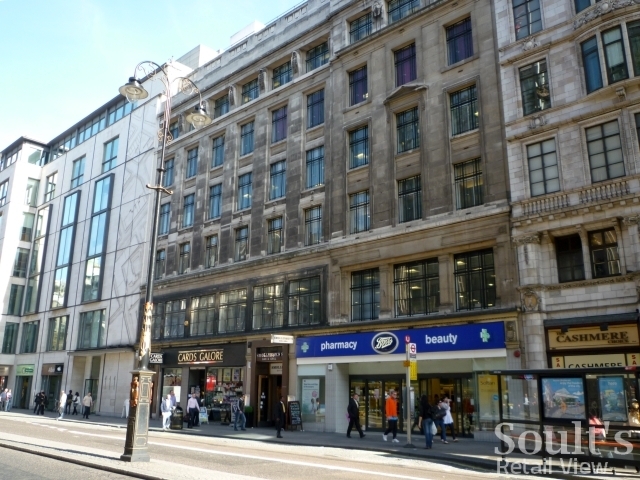 With most of Woolworths’ stores in central London closed down by the 1980s, it’s easy to forget that the value-focused chain once rubbed shoulders with some of the Strand’s most upmarket and iconic names. According to the site, “the learnings from The Strand were rolled out widely across the estate from the mid-1950s until 1970”, followed by further modernisation in the 1970s and the introduction of an upstairs Harvester Restaurant. 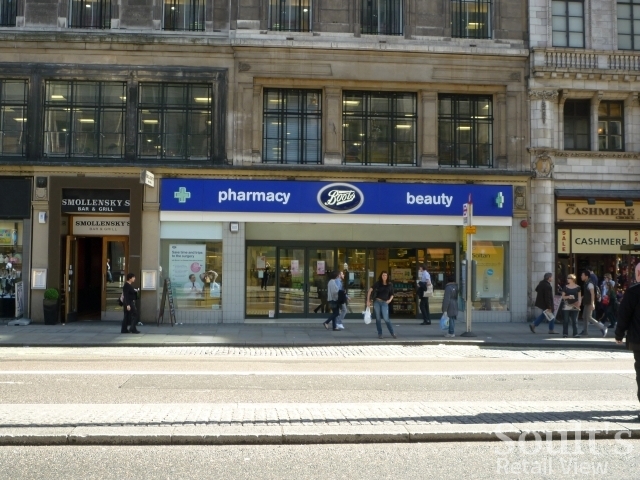 With a fuzzy 1930s photograph from 100thBirthday.co.uk to go on, and the knowledge that the store was now occupied by Boots, I set out to identify the building in question during my visit to London last week. 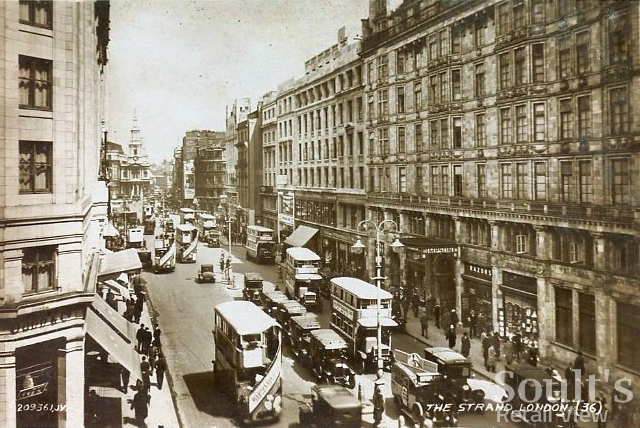 In the end it wasn’t too difficult to locate, given that the block – opposite the Strand Palace Hotel, and next to Simpson’s restaurant and the Savoy Buildings – is remarkably unchanged, and highly distinctive with its imposing six-storey frontage. Another 1930s view, above, which I dug out following my visit, shows the Woolworths block and its neighbours in their full glory. Based on what we know, Woolworths must be located in the centre of the picture, just to the right of the awning, though the level of detail is insufficient to make out the store’s actual signage. 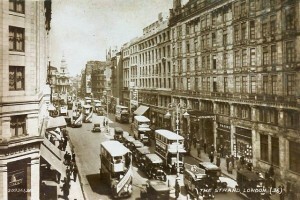 However, the canopy of the famous Simpson’s in the Strand restaurant is a common feature visible in both the 1930s shot and (in the distance) in my modern view, below. It’s worth observing that Woolworths on the Strand was one of a succession of large central London branches to open in the space of a year during the period 1924-25, following on from those that I’ve already blogged about previously: Oxford Street (#161) and Kensington High Street (#162), which opened in August 1924, and High Holborn (#173) and Tottenham Court Road (#175), opened in November that year. 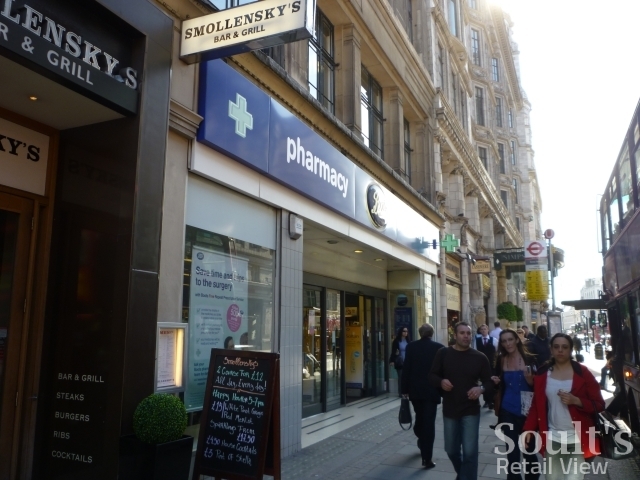 The sheer scale of that achievement – with many of those stores housed in purpose-built premises – gives a real sense of an ambitious business at the top of its game, and is surely an accomplishment that many modern retailers would envy. 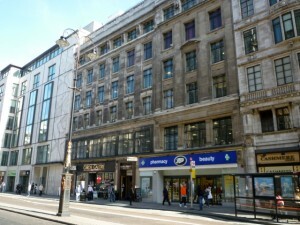 The first floor of Woolworths was occupied by I.P.C. Magazines Contributors Accounts Dept. until they moved to their new building on the Thames around 1971. 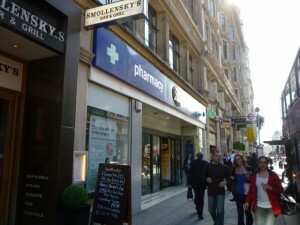 I worked in the Underwoods store st High Holborn in 1985 and the Woolworth store was about 5 shops further down from us. A chain of chemists called Underwoods operated in central London in the 1980s, before being taken over by Boots. Not sure if this store was Underwoods between being Woolies and Boots, but given its location it may have been.